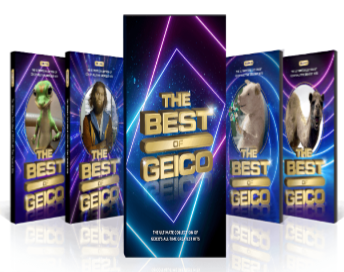 The Best of GEICO Sweepstakes – Win a trip to LA & a spot in a GEICO commercial! Win a trip to Los Angeles, $1,400 spending money & a spot in a GEICO commercial! ENTER SWEEPSTAKES HERE – Geico Sweepstakes page. ENTRY LIMIT – You may vote once per every 24-hour period, but there is a limit of one (1) Entry per person/email address for the entire Sweepstakes Period. ELIGIBILITY – The Sweepstakes is open only to legal residents of the fifty (50) United States and the District of Columbia, who are 21 years of age or older as of the date of entry. SWEEPSTAKES ENTRY PERIOD – The Best of GEICO Sweepstakes (the “Sweepstakes”) begins at 12:00 am Eastern Time (“ET”) on December 13, 2018 and ends at 11:59 p.m. ET on February 5, 2019. PRIZES – Grand Prize (1): A 3-day/2-night trip for two (2) to Los Angeles, CA. Trip includes round-trip economy class air transportation between a major airport near the winner’s home to Los Angeles, CA, two-night hotel accommodations (based on double occupancy), $1,400 spending money (awarded as a check to winner only), the opportunity for Grand Prize winner only to participate in a GEICO commercial (the “Commercial”) and $1,200 payment in the form of a check via third party payroll service to winner only, in the event winner participates in a Commercial. The approximate retail value of the Grand Prize is up to $5,000. The $1,200 payment will be fulfilled approximately twenty (20) business days after the Commercial has been taped. WINNER’S LIST – For the name of the winner, available after March 5, 2019, send a self-addressed, stamped envelope to: The Best of GEICO Sweepstakes – Winner, 100 Marcus Dr. Attn: EG, Melville, NY 11747.